There are multiple parking options at the Prince George Airport (YXS) that include short term, long term and oversize parking. 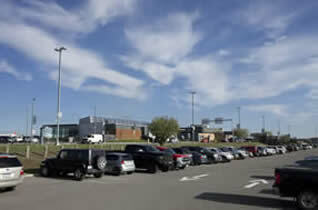 A designated drop-off and pick-up zone is located and clearly marked at the front of the YXS Terminal building. Vehicles are permitted to remain in this zone for a maximum of 3 minutes. Unattended vehicles are considered parked and may be fined or towed at the owners expense. Current rates are: $13 per day and $65 per week. The long term parking rates are calculated from the time the parking permit is printed until the payment is received. The automated calculation is based on a 24 hour clock at $1 per hour at a maximum charge of $13 per day. 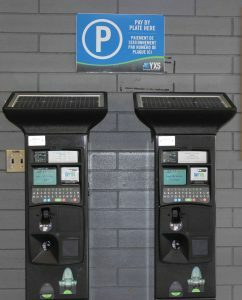 Collect parking permit upon entrance of the long term parking lot… Keep your permit… Then pay with credit card, cash, or debit at the Terminal Paystation in ARRIVALS upon return flight. Visit Security Desk in Departures if parking permit is misplaced. 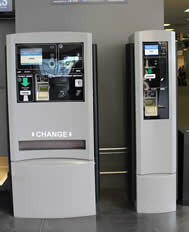 Four ‘Pay by Plate’ parking pay stations are conveniently located inside the airport terminal building. Two pay stations are located inside the Departure doors and two are located in the Arrivals area. Pay fee at the pay station located inside the terminal building, using cash or credit card. It is not required to have any tickets or receipts displayed on your dash. The machines accept coins and credit cards. Rate is $2 per hour, 2 hours maximum. Accessible parking is available in designated stalls at YXS, in both Daily/Weekly and Hourly Parking areas. Regular parking rates do apply to Accessible parking stalls and we ask that your Permit be visible. To view what stalls are available please view our temporary Parking Map, click here. If you need requirements outside of these policies, please contact us directly or call Security at 250.963.2406. Booster packs are available if needed. The loan of the booster pack will require a deposit and a refund will be issued when the booster pack has been returned. To request the use of a booster pack, please visit the Security desk in the departures area of the terminal building. If you did not receive a receipt for parking for any reason, please contact us or call Security at 250.963.2406. We will ensure that you are provided a receipt.